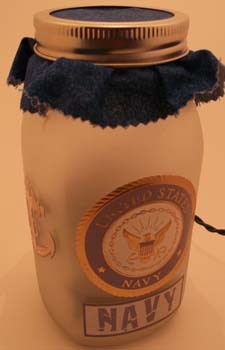 Our lighted mason jars make perfect unique craft gifts for wedding presents, anniversaries, birthdays, a housewarming or just about any occasion where you’re just not sure what to give. 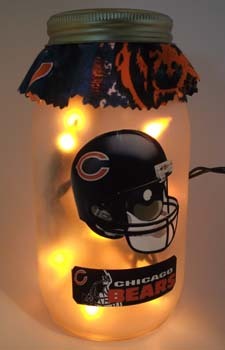 Made from real mason jars and custom colored lights, our lighted mason jars can be custom designed for your favorite football team or any sports team, a favorite cartoon character or whatever you’re looking for. 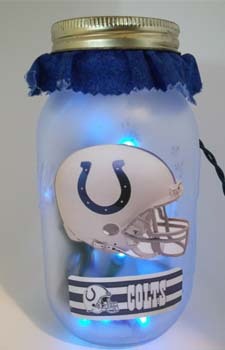 Our Disney theme lighted mason jars are a favorite for craft gifts for kids rooms because the soft glow makes a special night light. 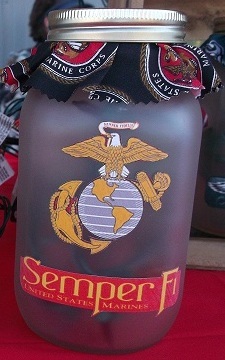 You can even mix and match with our lighted personalized wine bottles for the perfect gift set. 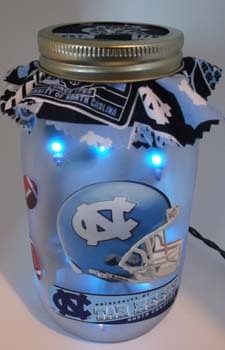 All of our lighted mason jars are one-of-a-kind creations made with empty mason jars and colored lights to match the designs. 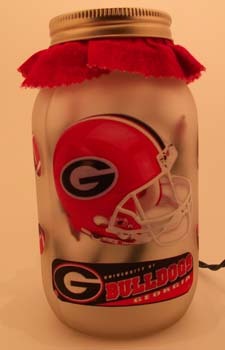 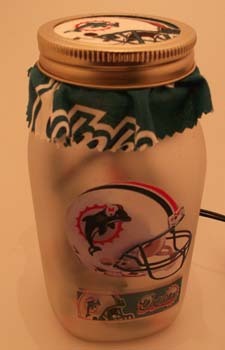 We design and create jars for sports fans of the NFL, NHL, NCAA and high school teams as requested. 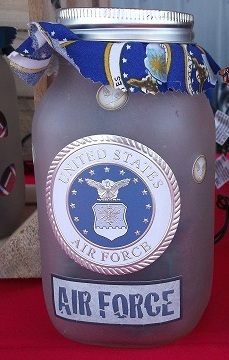 Each jar is one-of-a-kind; no two are completely identical, so you will always be getting a specially made-for-you lighted mason jar to keep for yourself or to give as unique craft gifts to friends, family or coworkers. 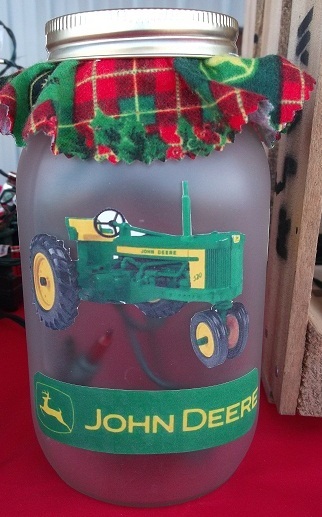 If you own a gift shop and are interested in displaying our lighted mason jars for sale in your store, give us a call to discuss options for purchasing some of our items wholesale for resale.